What’s self-love got to do with it? 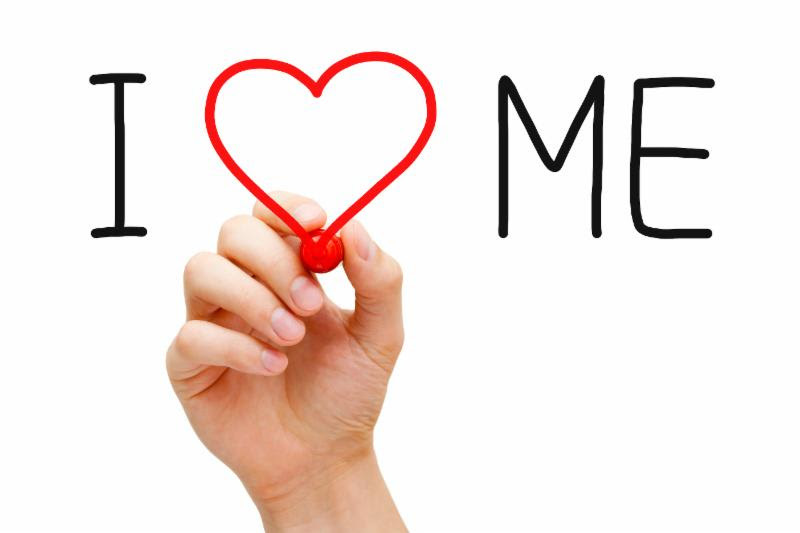 Self esteem, narcissistic behavior, self love, what’s all this talk about self and love in the same sentence? 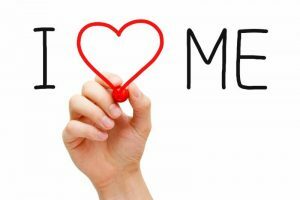 It seems selfish to be tooting one’s own horn and saying so boldly, “I love me.” On the other hand, it is required to love our self and accept our self to get anything done in this world. In a world that judges us on our exterior and what we own and how hard we can push ourselves, or how much we can selflessly give our time and energy to causes, its no wonder we have conflicted messages about loving oneself, being enough, being there for others. What happens when someone doesn’t love themselves completely? They self-sabotage. Our thoughts and stories we tell ourself about what is possible dictate our actions and our outcomes in the physical world. Often we are stuck in the past. If we are not in the present, we are less able to enjoy ourself. Sometimes we fear the unknown and the known becomes our chosen path. These actions and decisions are being made on an other-than-conscious level. Have you been procrastinating, sitting on the couch too much or missing your mark in areas that you say you want to improve? All these things fall under the category of self-sabotage. What does this have to do with self-love and self-acceptance? Here is the tie-in, if you don’t believe you are worthy of the results you are looking for at an unconscious level (or believe your are not safe) you will self-sabotage your efforts by doing all sorts of things. Everything that gets in your way begins to look like an obstacle that is out of your control or have been created to stop you. You play a role in these events even if it looks and feels like you are not in control. The subconscious mind is a super processor and can process 40 million bits of information per second. Compare that to the average of 40 bits of information per second which is the capacity of the conscious mind. This makes it clear: reaching the subconscious mind is the most direct method to stop self-sabotaging behaviors. I assume you are looking to be healthy, happy and taken care of physically and to be safe. These things are your birthright. To practice acts of self-love by indulging in what makes us happy, we can actually bring our senses alive. You can reach your subconscious, through your senses. The senses are the language of the subconscious. When we reach our subconscious and have it believe we are deserving, worthy and capable, we welcome the thoughts actions and behaviors that are in alignment with what we say we want. As we relax into who we are and feel better about ourselves, things start to work in our favor. Take yourself on a date, if it’s something you love; make a trip to the museum, enjoy listening to music, get a spa treatment. By doing these things you are reaching through your critical factor which is the stop-gap between your conscious and subconscious. You are evoking and convincing your senses that it’s all ok, you are enough, you deserve to be happy and you are safe. To do what makes you happy makes sense if it makes you healthier, happier and more productive right? In order for you to fill your body with good fuel and take the time to rest when needed, and to say no to over-booking yourself, you have to realize that you are worth it and you deserve to feel your best. All this talk of self-love is to say; you are good enough as you are and you can accomplish great things. If you need help getting out of your own way, that is why I am here. I can help you by identifying the beliefs that are below your conscious awareness, and if they do not serve your higher purpose, together we change the beliefs on so they serve you rather than work against you. In the meanwhile, be your best own Valentine and treat yourself with compassion and kindness and begin to practice self-love and self-acceptance.